With many having mixed emotions and understandably broken hearts, the Majestic Family has been given the solemn duty to serve notice that Ms. Rebecca Huffman Taylor affectionately known to many as “MeMe”, was born on October 1, 1940 in Greensboro, NC. She closed the curtains of this life on Monday, October 1, 2018 while resting at UNC Healthcare Center. Rebecca grew up in Greensboro and later moved to Elizabethtown. She attended Wingate University and East Carolina University, graduating with a bachelor’s degree in education. Rebecca pursed a career in teaching, where she touched and molded many young lives over her career of almost 40 years. 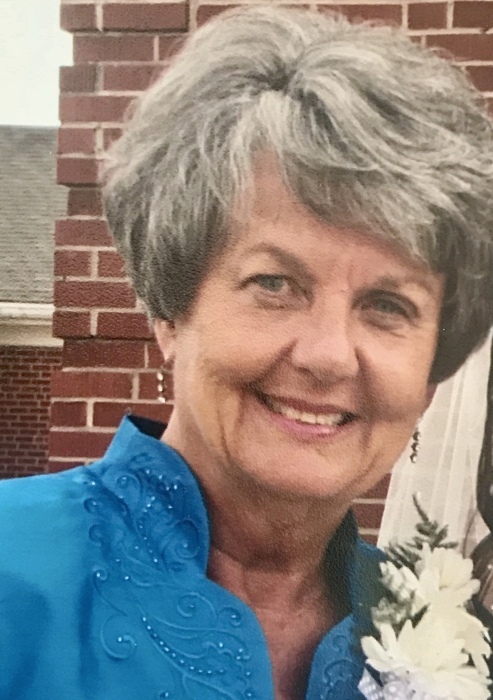 She later retired and enjoyed spending her time with her grandchildren, at the beach and with her church family. She was preceded in death by her mother, Vaden Huffman. Beautiful memories will always be etched in the hearts of many such as her daughter Ashley Dowless and son-in-love, Nathan. Ashley and Nathan gave her two beautiful granddaughters, Taylor and Tenley, whom she spent most of her days with and absolutely adored. Rebecca’s special friend, Reed Davis was also a very important person in her life. Rebecca’s smile and bubbly personality was her life’s treasure given by God, in which she shared so freely to inspire and uplift others. She will sorely be missed. The Intimate Life and Legacy Services for Ms. Taylor will begin on Thursday, with moments of reflections from 1:30pm until 3:00pm in the main sanctuary of Elizabethtown Baptist Church. Commencing promptly at 3pm, a Loving “Farewell” Ceremony will take place. During these “everlasting moments”, family and friends will gather to comfort each other while reminiscing on fond memories of yesterday with Ms. Rebecca. The celebratory events will climax with a meaningful graveside service on Friday at 2:00 at Westminster Gardens located at 3601 Whitehurst Road, Greensboro, NC 27410. Guests are being received at 311 Morgan Wood Estates Dr. Elizabethtown, during this time of sorrow. Those who wish to express love through floral pieces, may redirect those expressions in the form of donations made directly to the Elizabethtown Baptist Church. These thoughtful gestures will allow Ms.Taylor’s love for all of God’s children to live on forever. The Dowless, Taylor and connected families are being served by the Compassionate Professionals of Majestic Funeral Homes.